Are Pack Out Bags The Best Way To Haul Quarters? 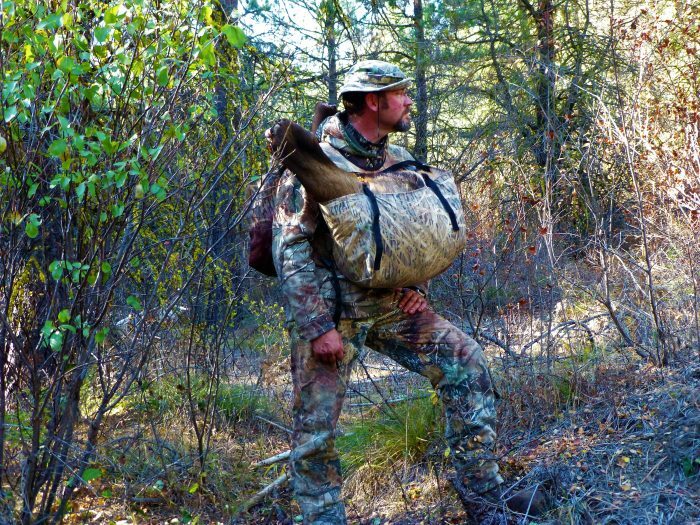 The grueling process of hauling elk quarters out of the woods is undoubtedly the toughest part of elk hunting. 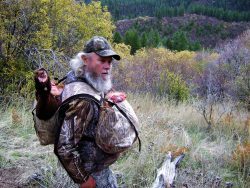 In 2001 the Peterson family grew weary of packing quarters on stiff framed back packs and sewed up a shoulder harness with a pouch on the front and back. What they discovered was a more stable pack and evenly distributed weight. By having the weight on both the front and back they were able to carry more weight comfortably. Years went by and about four years ago the family decided to turn their idea into a business. #1-Family First! Nothing is worth breaking up the family. We will communicate and treat each other with respect and never lose site of who we are. #2-Pack Out Bags will be a product we are proud to put our name on. They will always be made with high-quality, durable, sustainable fabric. #3-Pack Out Bags will be made in our home state of Idaho. As we grow this company we want to provide jobs to the people within this beautiful state. 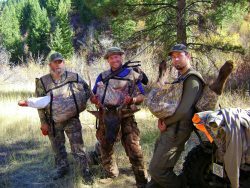 As proof of the bags quality, that original pack out bag made back in 2001 is still being used by this elk hunting family. These durable bags are made at an affordable price at a family owned and operated business. As you’re preparing for elk hunting this might be something you’ll want to put on your check list. For more information about this innovative product and the family who created them visit their website at: packoutbags.com .